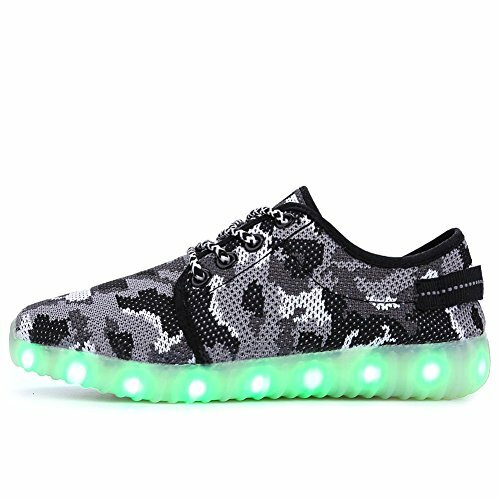 These Glowing Blue LED Light up Flashing Sneakers for Kids will surely catch anyone’s attention with its unique speckled design, rough fabric exterior and glowing red soles that also glitter in the night! Want to be red hot and blazing for that party? 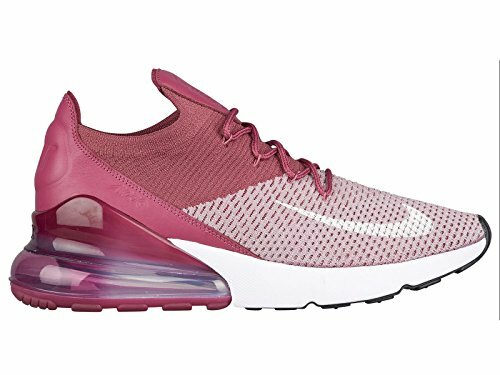 Are you searching for a high quality yet stylish shoes? Then these shoes will transform you into that smoking hot superstar overnight! 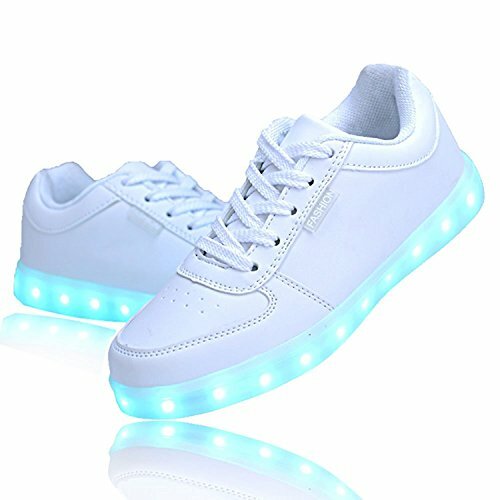 Wearing these shoes will make you the best-dressed person in the crowd and your shoes will catch everyone’s eye attention. 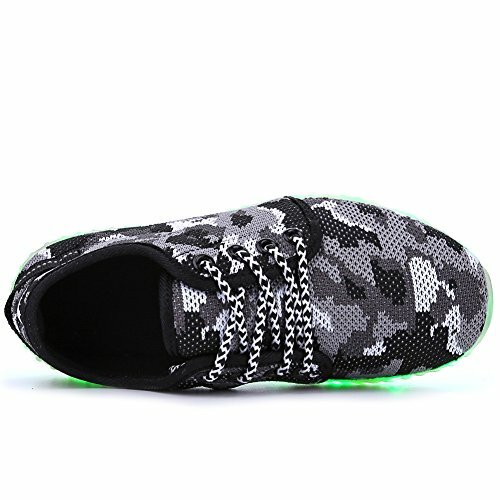 This is a breathable, soft and high-quality pair of shoes with a unique design. These versatile shoes can give you more power to do anything that you want. They are also durable and dependable. Once charged for 2 to 3 hours, these shoes can give you approximately 8 to 10 hours of lighting time. 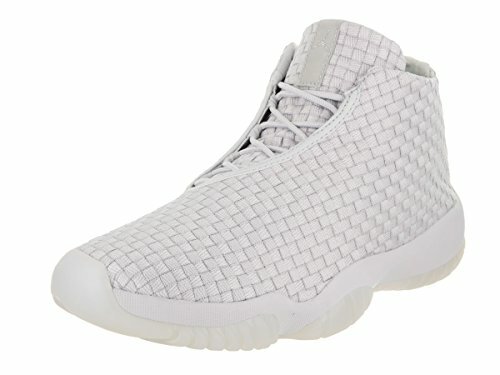 The interior of these shoes are also cushioned for comfort. 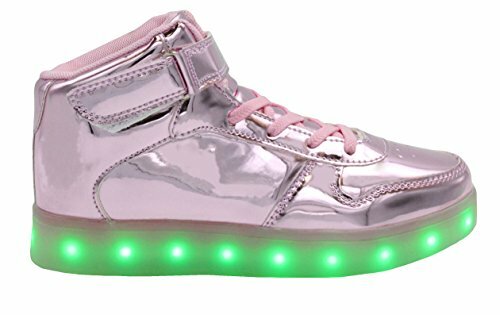 These light-up LED shoes is ideal for that club party, or for a simple night out. 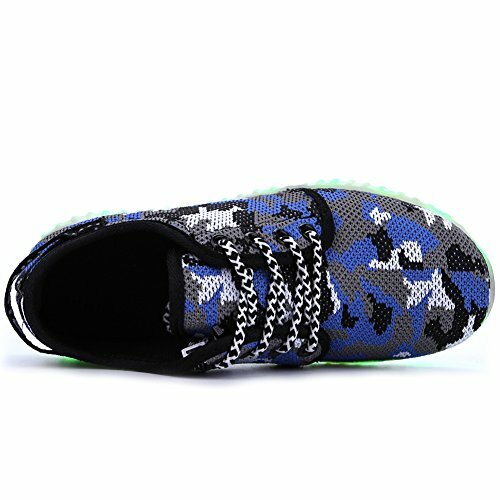 It is your best choice for footwear, in any event, you want yourself seen and noticed. 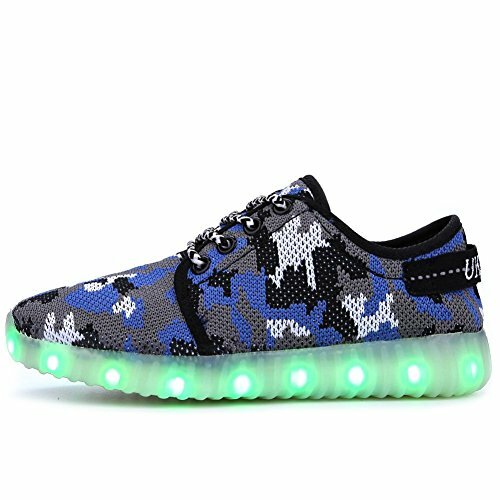 These shoes are also perfect as gifts for festivals, birthdays and other events. These are also the best presents for your children. The switch is located inside the shoes, and it’s close to the USB port. You can press it on to show the lights on specific modes. While charging, the light will routinely be turned off until the point that charging is done. 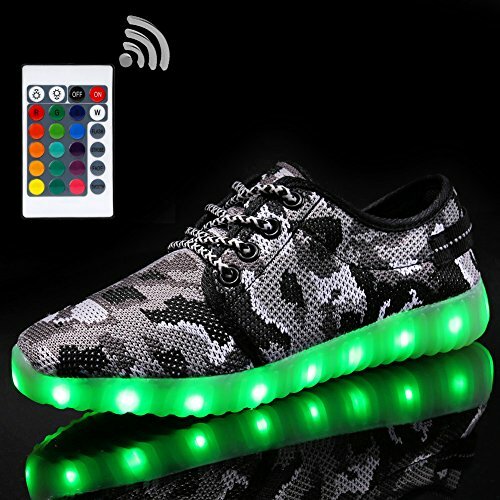 Shoes contain a USB charging wire, yet without any chargers. You can utilize your phone charger or PC USB port to charge the shoes. 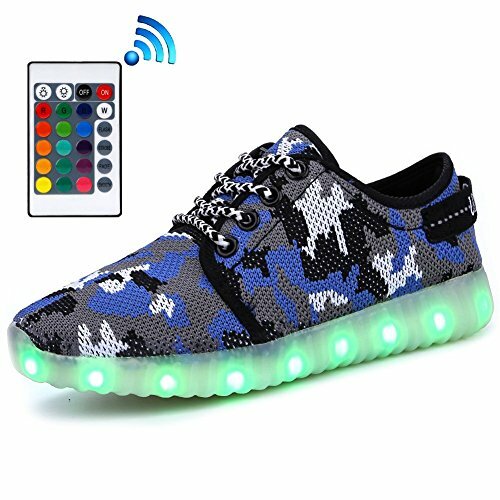 Right when the shoe LED light turns on, the lights will transmit shocking and unbelievable colors. 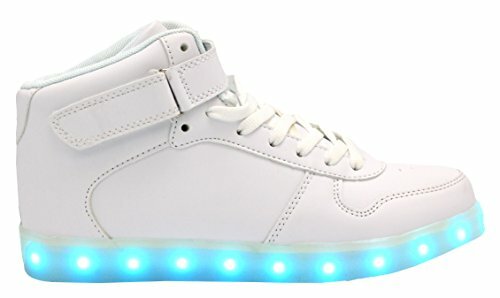 The LED lights around the soles of these shoes can enlighten your character! 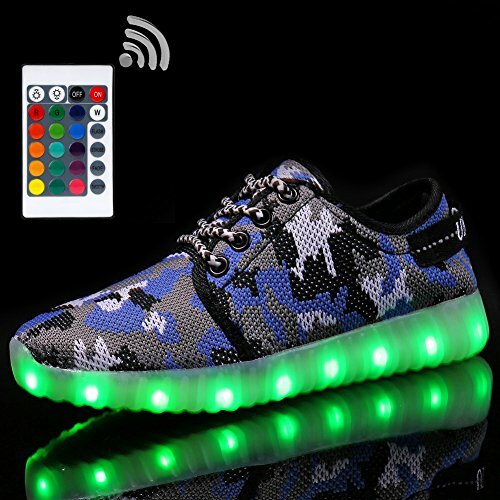 Get the Glowing LED Light Up Shoes now!